After taking a short pause in the project, we’re gearing up for our return on 26th October 2015! Tickets for all events are FREE but booking is required and can be done here. We are also keen to organise WALLPAPER reading group sessions for established reading groups as part of our reader-response research. If you are part of a reading group and are interested in being involved, please contact Alice Bell via readingdigitalfiction@gmail.com to discuss possibilities. * These events are funded by Sheffield Hallam University‘s Higher Education Innovation Fund. PI, Dr Alice Bell, presented our reader response research on the second person narration as part of the Reader Response Special Interest Group panel at the Poetics and Linguistics Association (PALA) conference at the University of Kent last week. It was a fantastic conference with very strong papers throughout, not least in the SIG. We received really positive and helpful feedback on our study. Check out #readerSIG on Twitter for comments on the paper and the rest of the panel. You can find a copy of the presentation here. Watch this space for forthcoming publication news. Today we facilitated a session with Anne Frost (Sheffield Libraries) as part of the Bookstart and Early Years programme at Sheffield Children’s Library. 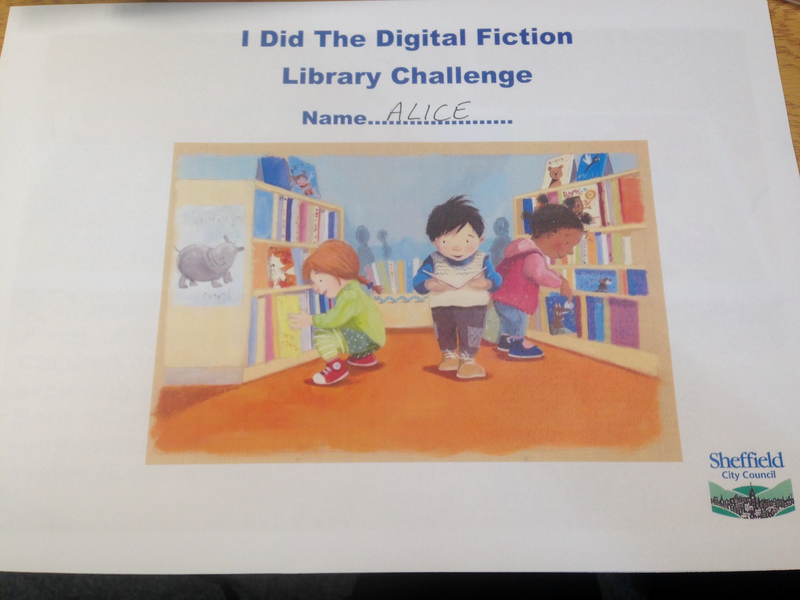 Anne, who attended our of our library staff workshops in July 2014, was inspired to use digital resources in the Storytime session. Drawing on the ASEL Report into Children’s Digital Needs and Libraries and research expertise on digital fiction from the RDF team, Anne devised a session using child friendly computer hardware and resources from a variety of websites including Bookstart, Storyline Online, and Oxford Owl. The results of a questionnaire, which parents completed at the session, were written-up by Anne Frost. RDF PI Alice Bell also got her own certificate! We were rally pleased to see this blog post by IT staff at Sheffield Hallam University who supported us so well with the ‘The Future of Reading?’ exhibition: https://blogs.shu.ac.uk/istnews/2015/02/24/books-to-boot-how-ist-helped-with-an-art-installation/ It was a pleasure to work with them and we’re glad they’ll be supporting us next time around! 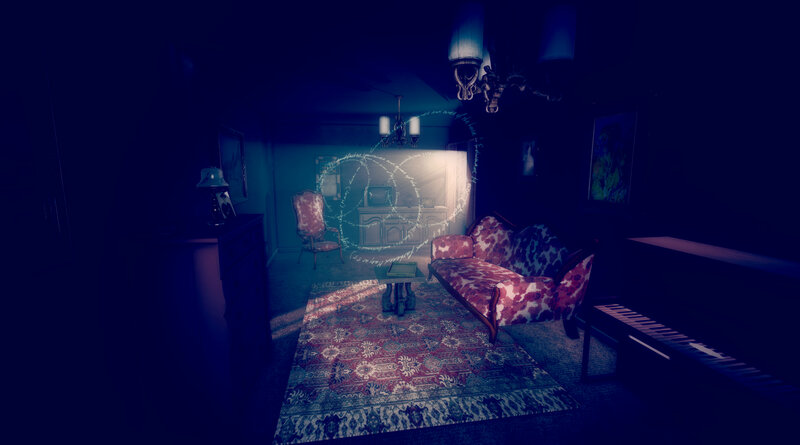 We are extremely excited to announce that project investigators Dr Alice Bell and Prof. Astrid Ensslin will be installing a new immersive digital fiction called WALLPAPER, a project by One to One Development Trust‘s Dreaming Methods, at Bank Street Arts in November 2015! The project is funded by Arts Council England and Sheffield Hallam University‘s Higher Education Innovation Fund (HEIF) and will form part of Bank Street Arts’ Opening Up the Book project. More information about the installation and supporting events to follow soon! Impact Report for The Future of Reading Exhibition (December 2014) analyses the impact of ‘The Future of Reading? An Exhibition of Digital Literature’ which was held at Bank Street Arts from 22nd October to 14th November 2014. Reading Digital Fiction had a great year in 2014. We held multiple events and made good progress with our research. In 2015, while we will continue publicising our research and planning future events, we may be a little quieter than we have been. This is because the project is technically ‘paused’ until October 2015 while one of the project team members is away.